I can understand a kid asking for a giant rat as a pet. What I can't understand is any parent that says "OK". The Gambian pouched rat (Cricetomys gambianus) is a size most people would associate with a cat, not a rat. It's a rat that can be a metre long. This large African rodent ("pouched" as in cheek pouches for hording all that rat food) has cost the taxpayers of the United States a fair few dollars to satisfy the "needs" of a few rat lovers that want to get one up on the Joneses. In 2003, a recently imported giant rat carried monkeypox into the USA, infecting prairie dogs, who went on to infect their new owners. Dozens of cases in the US midwest were traced to prairie dogs from Phil's Pocket Pets in Illinois. Monkeypox is a pretty serious disease, akin to mild smallpox, so naturally the US Centers for Disease Control (CDC) took the outbreak pretty seriously. The disease has about a 10% mortality rate in Africa. The term "plague" is a bit of a scary one. Occasionally, Americans ask what I mean by the term "mouse plague" because they don't experience the population explosions we see. I think Australia and China are the only places we see these massive "plagues". Americans are more familiar with the disease Plague, as they regularly hear of it hosted in some of their wildlife. Worldwide, there are still about 2,000 cases annually claiming 100-200 lives. The Plague of Justinian, the Black Death and the Great Plague each altered the course of history and were each caused by the flea-borne-rat-borne bacteria Yersinia pestis (although this wasn't known until 1884). Probably 25 million Europeans, or one third of the population, died of the Black Death in 1346/47. Many more probably died in Asia, where it originated. The Mongols besieging the city of Caffa on the Black Sea (in present day Ukraine) were afflicted and had to abandon their siege. But in undoubtedly the worst biological attack in history, they catapulted dead bodies into the besieged city. The fleeing residents of Caffa took the Black Death with them and all of Europe felt the consequences in the next several years. Interestingly, the displacement of the black, or ship, rat with the brown, or Norway rat reduced subsequent flare-ups of Plague. The brown rat tends to live in sewers rather than directly with people and the less contact with rats, the less contact with rat fleas and therefore the plague bacterium. The Plague isn't one of the 10 Plagues of Exodus. God's plagues on the Egyptians were blood, frogs, lice, flies, livestock disease, boils, hail, locusts, darkness and the death of the firstborn. The Egyptian's boils were too mild to be Plague. Agonising bulboes, or black lymph nodes in the groin, armpit and neck are the defining feature of Bubonic Plague. That form kills half the people it afflicts. Pnuemonic Plague, caused by inhaling the bacteria from other victims and Septicemic Plague caused by direct infection of the blood kill virtually 100% of those afflicted. All are caused by Yersinia pestis. Of the Exodus plagues, I think we can claim frogs or toads (surely the easiest one to cope with - although thine ovens and thy kneading bowls were filled) and locusts as modern phenomena in Australia. Image courtesy of Center for Disease Control. Who or What is a Ratbag? Returning from a fantastic week on Lord Howe Island, it was a no-brainer to cover rats on last week's radio spot. A debate is raging on the island about the planned eradication of rats in 2010 and local artist Ginny Retmock had produced some 'ratbags' for the community market. I bought a few for giveaways but hadn't thought much about the term 'ratbag'. Presenter Andrea Close asked listeners about the origin of the term, and we decided listener Joyce was probably right in saying it was associated with wanting to keep away from rat catchers who carried a 'rat bag'. However, a bit of searching since reveals the origin might not be that clear cut. Most web dictionaries indicate the term as a common Australian one for a larikin; a non-offensive term for someone. But in use in other parts of the world it seems the term can be for nosey older women or for causing damage ("I got drunk and ratbagged the place"). I couldn't find any historical reference for the term originating from the plague or rat catchers or the like. The Chinese Year of the Rat, the first in the lunar cycle, begins 7 February. Rats are arguably the most damaging invasive animal, doing massive damage to crops and biodiversity and carrying many zoonotic diseases. Most famously they are associated with the pandemics of bubonic plague, responsible for wiping out maybe a third of the population on Europe in the Middle Ages. By my reckoning nine of the 12 Chinese horoscope animals are feral somewhere. What do you think? Rat: ricefield rats in South East Asia eat the equivalent of the caloric intake of Indonesia every year! Ox: regeneration of native trees in Hawaii can be completely stopped by feral cattle. 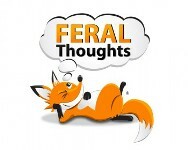 Tiger: I don't know of any feral tiger reports - never a species we think of as overabundant. Rabbit: Australia's worst Christmas present, arriving 1859. Horse: Wikipedia lists 13 different feral horses from Portugal to Namibia to Nova Scotia to new Zealand. Goat: the "Judas Goat" technique is very effective in tracking down goats and is widely used in eradication programs. Monkey: rampant monkey populations aggressively demanding food are Hong Kong's worst feral species. Rooster: this was one of the three I left off the list but Google gives me 36,000 hits on "feral rooster" - mainly keeping people wake on Hawain islands. Dog: rabies still kills over 50,000 people annually with feral dogs a major source. Pig: we might have five times more feral pigs than domestic ones in Australia! So let's make it 10 out of 12.